WARSAW, Poland (March 28, 2017) — Every soldier needs a safe place to rest, recuperate and gear up for his or her next mission. 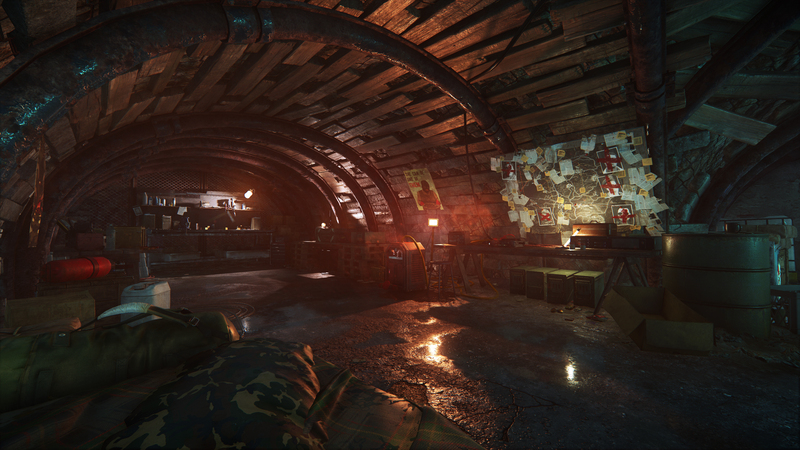 Today, CI Games invites you into the welcoming environs of the Jon North’s Safe House in Sniper Ghost Warrior 3. 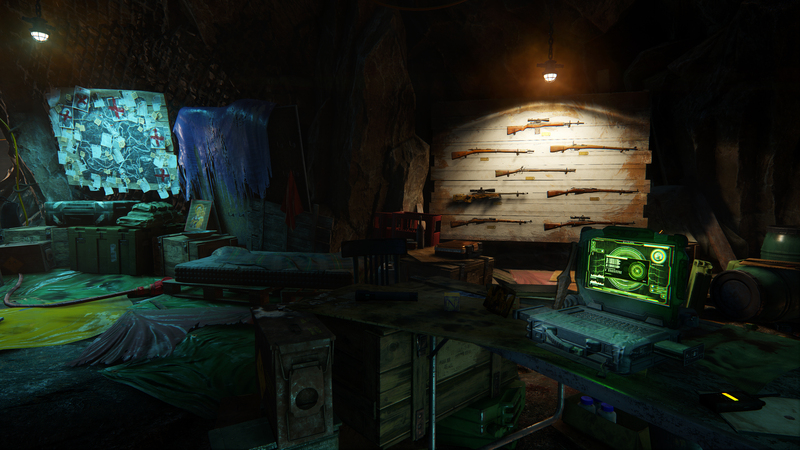 As one may predict by the name, the Safe House is a safe place where our lead protagonist can sleep to a designated hour, craft and purchase items, choose equipment loadouts, and begin missions. There are different safe houses to be discovered in the northern part of the Republic of Georgia, many of which contain loot or new weapons to equip. After they’re discovered, players can fast travel back to these locations as long as they aren’t in a designated mission area. The Weapon Cache is a place where the player can change his or her loadouts. Primary weapons, secondary weapons, side-arms, gadgets, weapon skins, and armors can be purchased and equipped here. 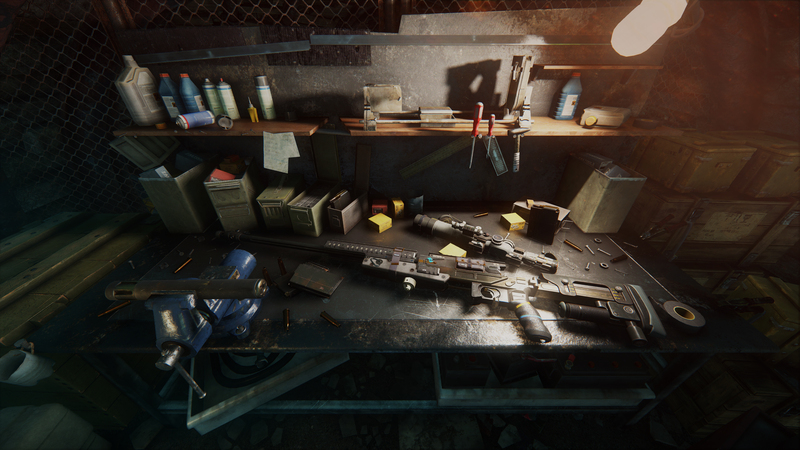 At the Workbench, the player is able to craft regular and special bullets, gadgets and medkits using resources found in the world. There are five kinds of resources, each used in different proportions to craft different equipment such as special bullets, gadgets, and to modify weapons and attachments. The currency in Sniper Ghost warrior 3 is called ‘Trading Goods’. Players can purchase almost everything available in the game for it – starting with grenades and medkits, and ending with weapons. 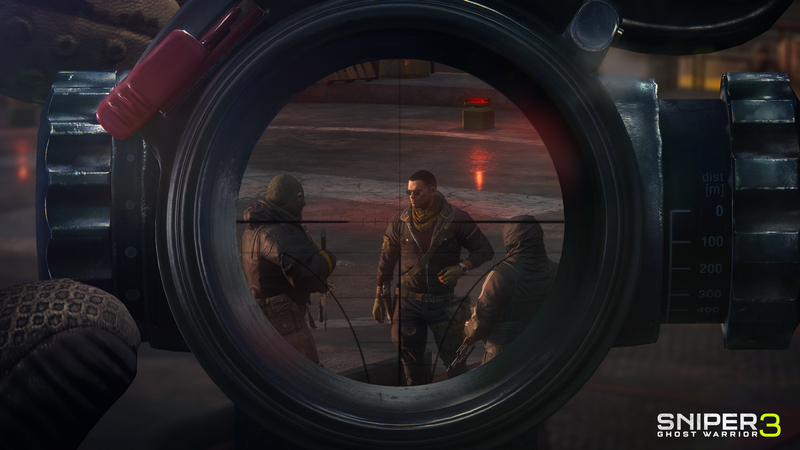 The Trading Goods can be acquired by various actions during gameplay: completing main story missions, completing side operations, finding collectibles, assassinating most wanted targets, helping civilians or just simply by being found in the world. Luring Bullet: Can be used to lure enemies into desired spots while not raising an alarm. Players can easily dispose of enemies that can be seen by others. Simply lure them out of sight and take them out. It can also lure enemies out from behind obstacles and into view. Tagging Bullet: Extracts a pulse that locates enemies through obstacles. It allows players to tag enemies in places where flying the drone would be too risky or would take too much time. Armor Piercing: Can be used to take out targets hiding in cover, so thin walls, fences, and even metal will no longer stop shots. It’s very effective against armored vehicles. EMP: Emits an electromagnetic pulse that disables vehicles and electronic devices within a small radius. A well-placed shot can ensure enemy reinforcements won’t arrive on the location, disable CCTV cameras, or can lure enemies by frying a power generator. Explosive Bullet: If you no longer care about stealth, then this is your bullet of choice for one-shot, one-kill sniping. DARPA: Experimental homing bullets that allow players to ignore wind and gravity, making these severe-condition shots much easier to execute. Gadgets and combat gear are a large set of tools available through crafting or purchase that will help players execute their planned approach. These gadgets differ in their intended use, ranging from offensive frag grenades to defensive warning devices, but it’s ultimately up to players to choose how they’d want to use them. The C4 charge, typically an offensive item, can be planted as a diversion to make enemies leave their posts and investigate what’s happening while the player sneaks past them. The throwing knife can be used to silently take out enemies without expending valuable suppressor durability, but can also be a last-resort attack in case of a spent magazine. By choosing gadgets that best suit their style, players can greatly expand the variety of available tactics. The player can modify weapons with currently unlocked attachments. New attachments, weapons, and gadgets can be unlocked by completing missions, but can also be found distributed on outposts or out in the world. New attachments can be unlocked by accomplishing open-world activities such as saving civilians. Once unlocked, attachments can be purchased from the shop along with ammo, gadgets, med-kits and armor using the in-game currency. Sniper Ghost Warrior 3 tells the story of brotherhood, faith, and betrayal in the most complete sniper experience ever. Take the role of an American sniper named Jonathan North, who is dropped into enemy territory in northern Georgia, nearby Russian borders. Explore large open-world maps with dynamic weather and a day and night cycle that actually impacts play and decisions. Customize weapon equipment, accessories, vehicles and a drone, and utilize the three pillars of gameplay to your liking: Sniper, Ghost, and Warrior. Sniper Ghost Warrior 3 launches on the PlayStation®4 system, Xbox One, and Windows PC on April 25, 2017. CI Games is an international developer, publisher and distributor of interactive entertainment products with sales in more than 50 countries. Headquartered in Warsaw, Poland, CI Games was established in 2002 and has been listed on the Warsaw Stock Exchange since 2007. CI Games’ global operations distinguish it as one of the most dynamic development companies in the industry, with development and distribution offices in Poland, United States, Germany & Canada. CI Games portfolio includes the best-selling Sniper Ghost Warrior franchise with over 5 million copies sold worldwide. The company is currently working on a number of high-profile, multiplatform games including Sniper Ghost Warrior 3 and the action-RPG Lords of the Fallen 2. For more information on CI Games please visit: www.cigames.com.